Wishing you a very happy & safe Labor Day weekend. Our offices are closed on Monday, September 3rd for the holiday, however, crisis intervention is always available via phone or text at 330.376.0040, or via website chat at victimassistanceprogram.org. Foil your dinner plans and stop by the Chipotle at 825 W Market Ave. in Akron for our fundraiser on Monday, September 10 from 4:00 pm - 8:00 pm. 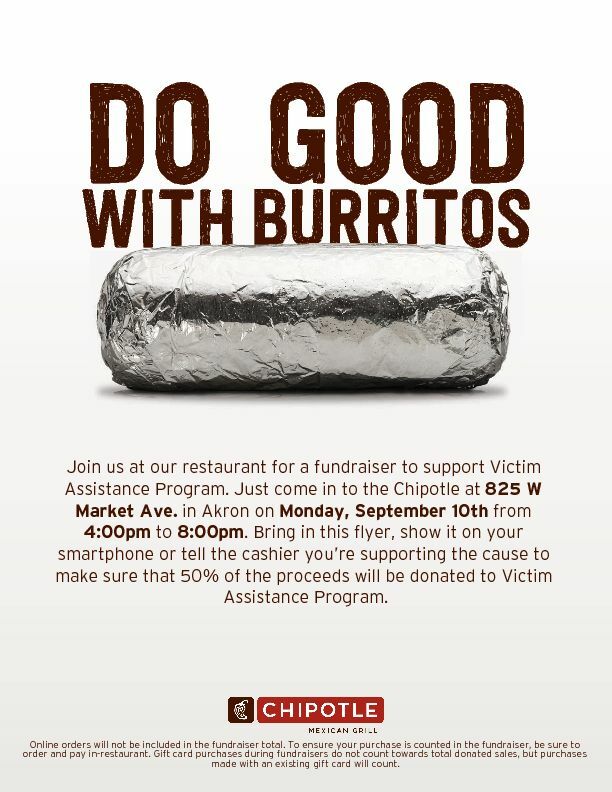 We're raising money to support Victim Assistance Program, so just download a flyer from the link below or mention the fundraiser at checkout and they'll donate 50% of the proceeds to the cause! Can't wait to see you! 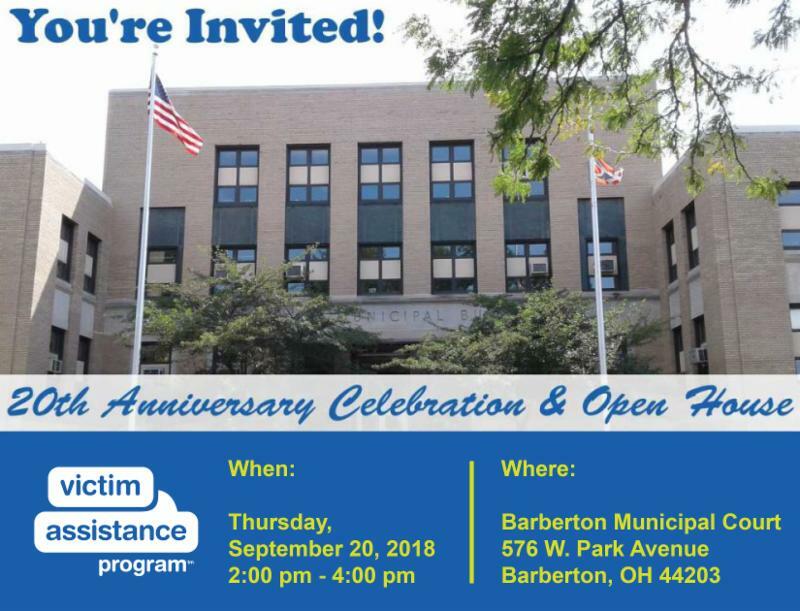 Thanks to additional funding from the Barberton Community Foundation and support from the community, our first full-time victim advocate at the Barberton Courthouse location began helping victims in 1998. For the last twenty years, the impact on the community has been significant. In 2017, our Barberton office alone assisted 505 clients. Please join us for an Open House to celebrate our 20 years of serving the community. Stop in and enjoy light refreshments, learn more about what we do, and how we can work together to empower our community to restore lives impacted by crisis, violence, and tragedy. Do you have great organizational skills? Do you enjoy planning events? Is meeting and working with people a priority for you? 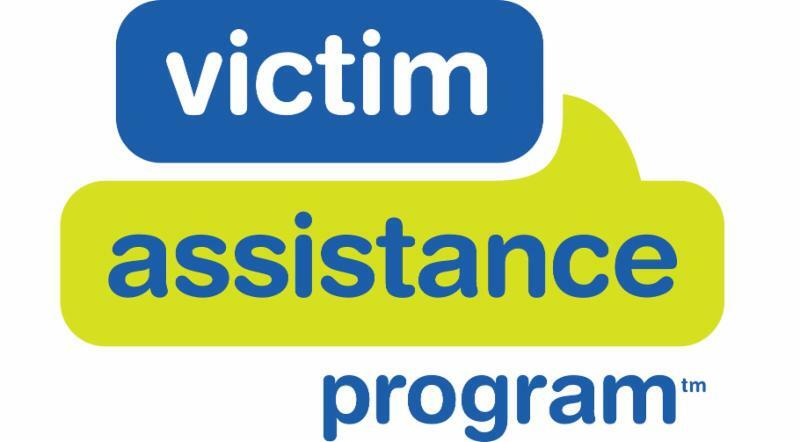 Be a part of Victim Assistance Program's great team of volunteers in charge of executing our agency's signature fundraiser! Please save the date & join us on Wednesday, September 12 th at 5 pm for an Open House/ Kick-Off Meeting at our offices at 150 Furnace Street in Akron. Enjoy special refreshments, network with past & future supporters, learn about all of our exciting agency news & how you can help us make our 2019 Mardi Gras Gala (March 2, 2019) the best yet! 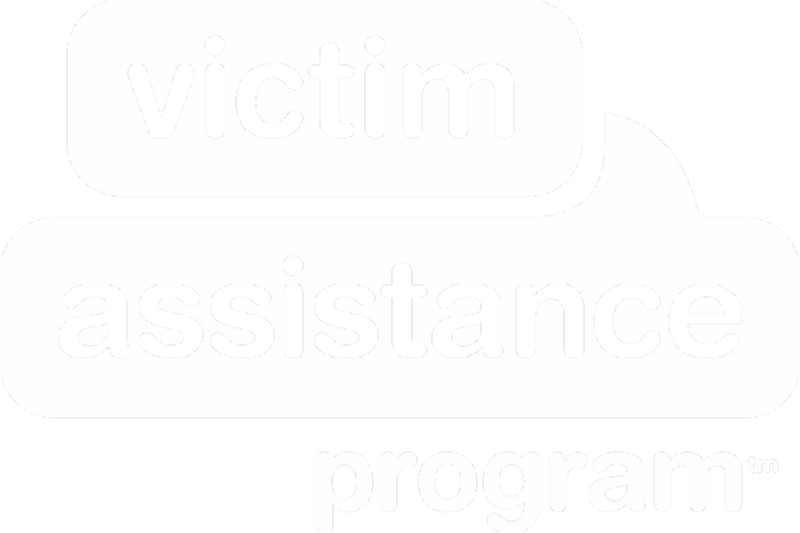 Please contact Kelly Kaufman, Director of Advancement at kkaufman@victimassistanceprogram.org or 330.376.0040 x200 with any questions. Summit County Prosecutor Sherri Bevan Walsh Presents: 3rd Annual Conference, "Responding to the Needs of Victims" - Featuring Nationally and Internationally recognized experts Police Chief Tom Tremlay (Ret.) & Lt. Mark Wynn. Domestic Violence and Sexual Assault training promotes trauma informed approaches to victims and greater offender accountability. This training is appropriate for law enforcement officers, victim advocates, attorneys, social workers, counselors, and medical personnel. Visit us At Barberton Mum Fest! Visit our table at the 28th Annual Barberton Mum Fest at Lake Anna Park in Barberton, Ohio. The event is free and open to the public. Enjoy family friendly entertainment, arts and crafts, and fabulous food amidst the beautiful backdrop of a million colorful mum blooms. See you at the festival!